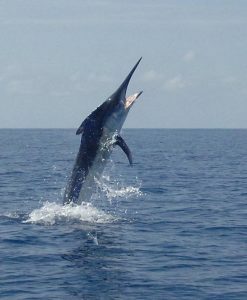 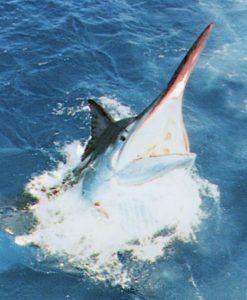 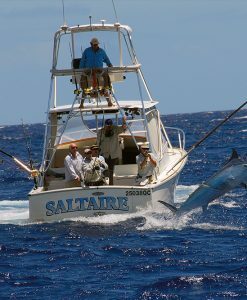 Bottom Fishing is also referred to as deep sea fishing or bottom bashing or even just reef fishing. 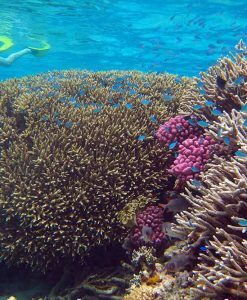 Reef Fishing involves use of a baited handline for the prized Coral trout or Red Emperor. 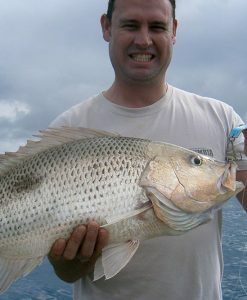 Other species commonly caught when reef fishing from Port Douglas on the Great Barrier Reef include Tea leaf or Bludger Trevally, Nannygai and Sweetlip. 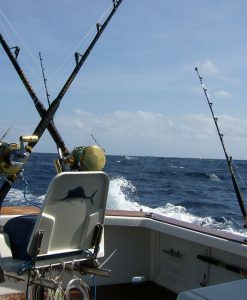 Reef Fishing is the best way to catch delicious table fish. 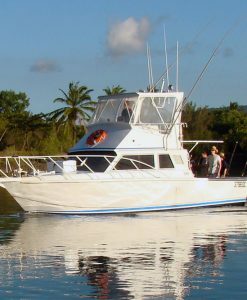 Most of the Port Douglas Reef tour boats use hand lines for reef fishing, just like the commercial live trout line fishermen do. 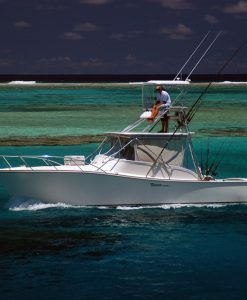 The benefit to using hand-lines when reef fishing is that when you feel the fish “expressing interest” the hand-line allows you the sensitivity to set the hook and prevent the fish from burying your line in the coral. 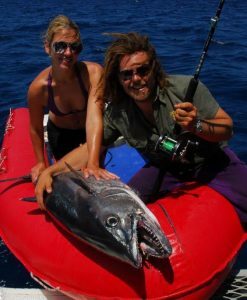 Some of the local Port Douglas Reef fishing boats on the Great Barrier Reef also allow you the option of using rods, and float pilchards out off the back marlin board for larger pelagic sports fish such as Spanish Mackerel and Trevally. 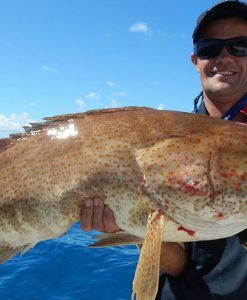 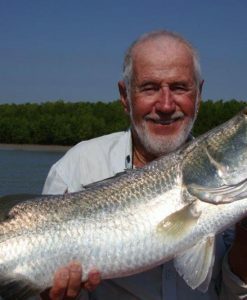 The day rate for a reef fishing tour usually includes a basic lunch, all bait and equipment, tackle and transfers from your accommodation in Port Douglas to the marina on the date of your fishing tour. 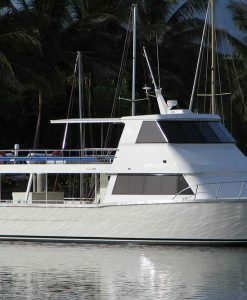 There are only two shared charter bottom fishing boats available in Port Douglas. 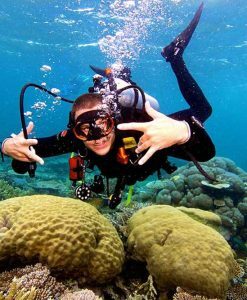 They fill quickly in peak periods such as school holidays. 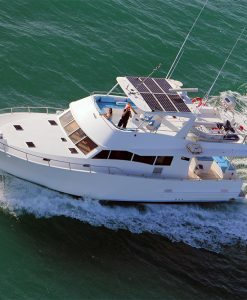 If you are keen to do some reef fishing in Port Douglas on the reef, it is highly recommended to book in advance. 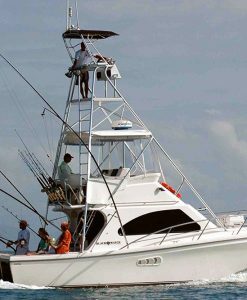 The reef fishing boats have a 24 hour cancellation policy, so if the 3 day weather forecast looks terrible for your day you can cancel outside of the 24 hours and incur no fee. 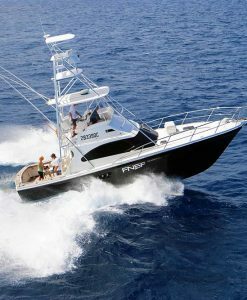 The reef fishing boats will gut and bag your fish for you to take home and enjoy on your BBQ. 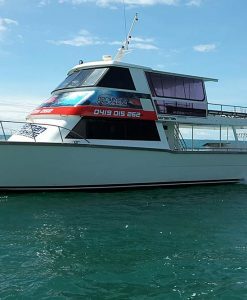 A reef fishing tour on the Great Barrier Reef from Port Douglas is usually always a full day as it takes most of the fishing boats 1.5 hours to get out to the reef for fishing. 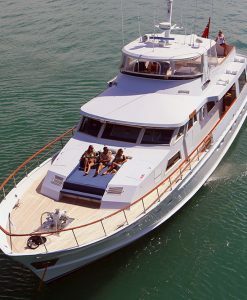 Reef fishing is a lot of fun for all ages, Port Douglas Reef Charters can recommend a number of bottom fishing boats that will ensure you have a great day and catch a lot of fish. 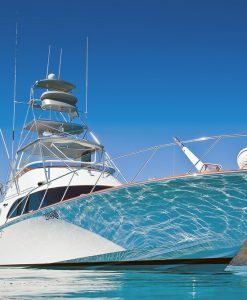 Both reef fishing boats in Port Douglas are long term local skippers who know where the best fish will be. 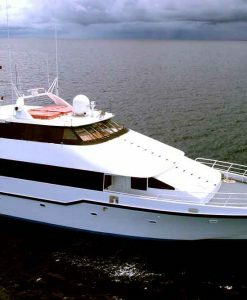 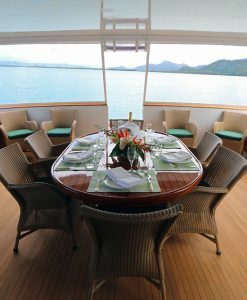 One of the reef fishing boats is very large and able to take groups for conferences or bucks parties.